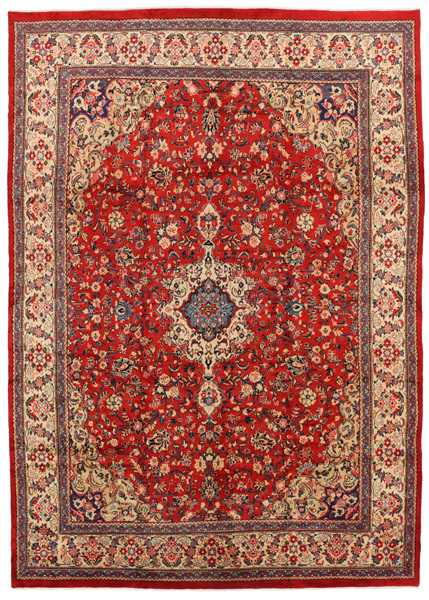 Sultanabad Carpets : In the province of Farahan is found the city of Arak, formerly known as Sultanabad, with 500,000 citizens it is built on the ruins of a small town called Daskerah. 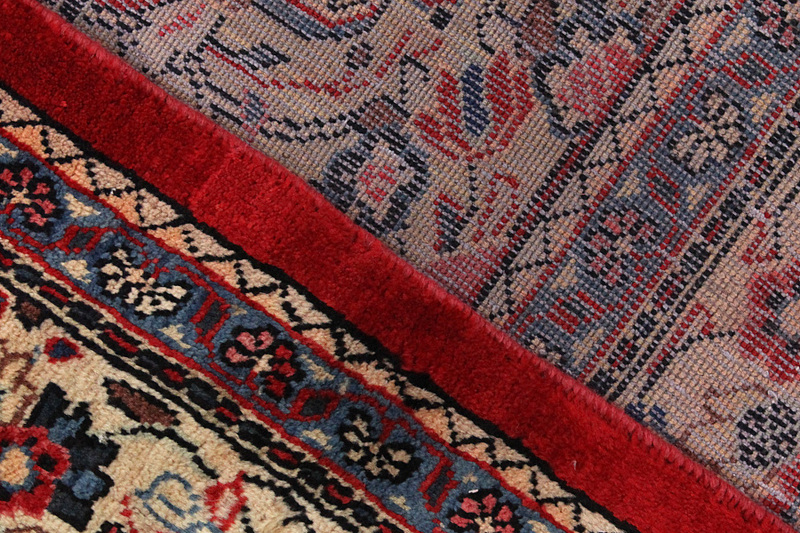 Modern Arak, which means good land, is a relatively new city with fertile soil. 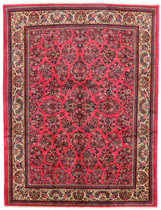 In the city is the fortress Soltan Abad, whose wall is 7 metres thick. 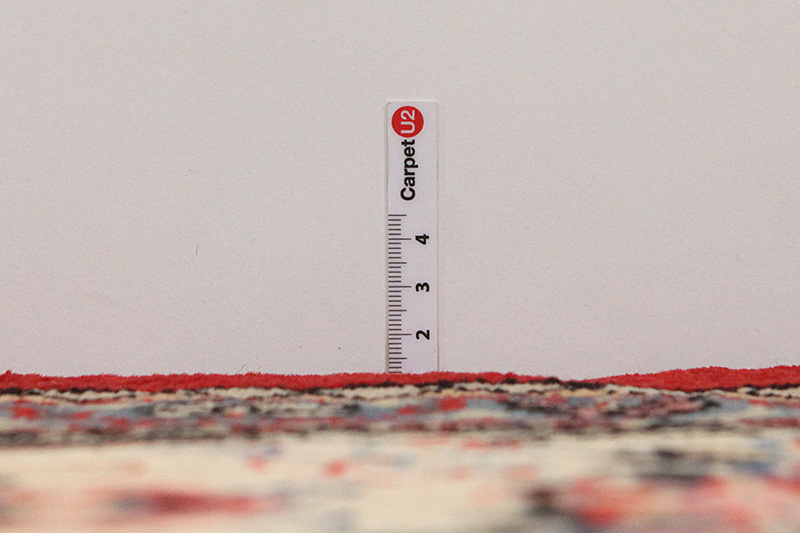 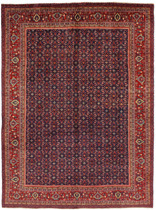 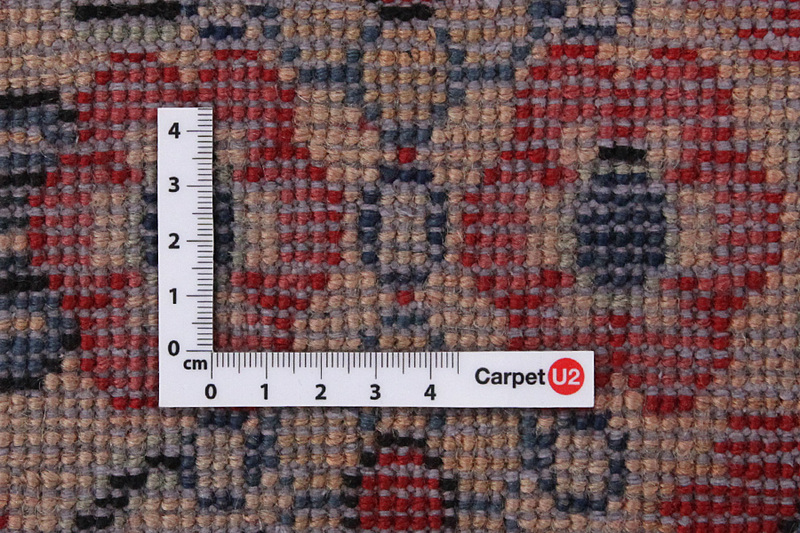 The carpets woven in the city and surrounding villages are identical to the Sarouk carpets, but the quality, colors and designs are intended primarily for the U.S. market. 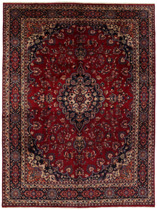 The Sultanabad rugs and carpets are very sturdy due to their very tight weave and the fact that they are woven with a double weft. 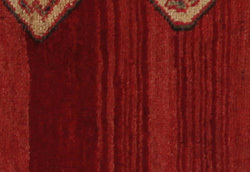 Their wool is of excellent quality. 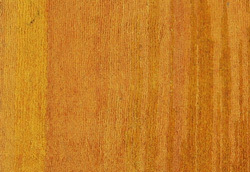 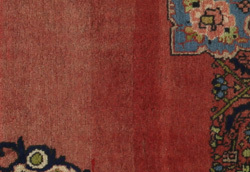 The colors used are red, pink, beige and dark blue as a background. 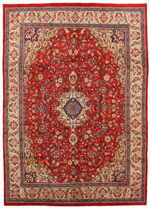 Their designs consist mainly of medallions surrounded by plain colored surfaces. 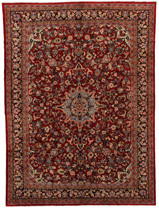 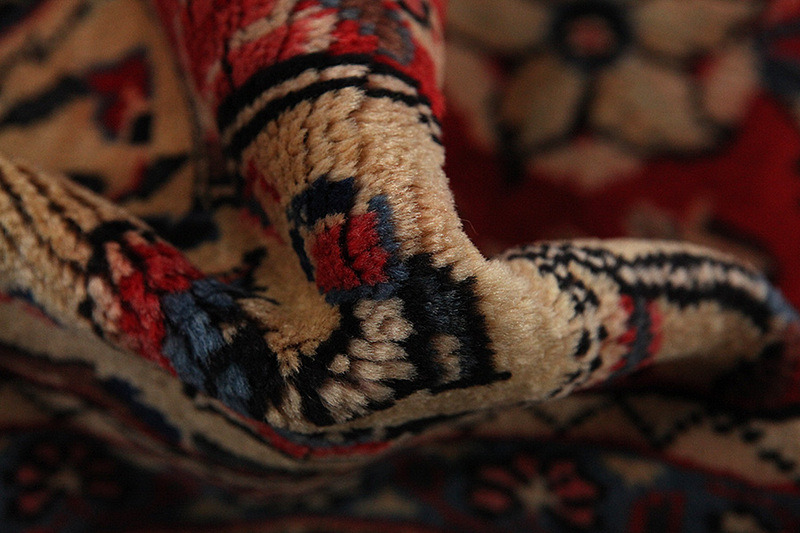 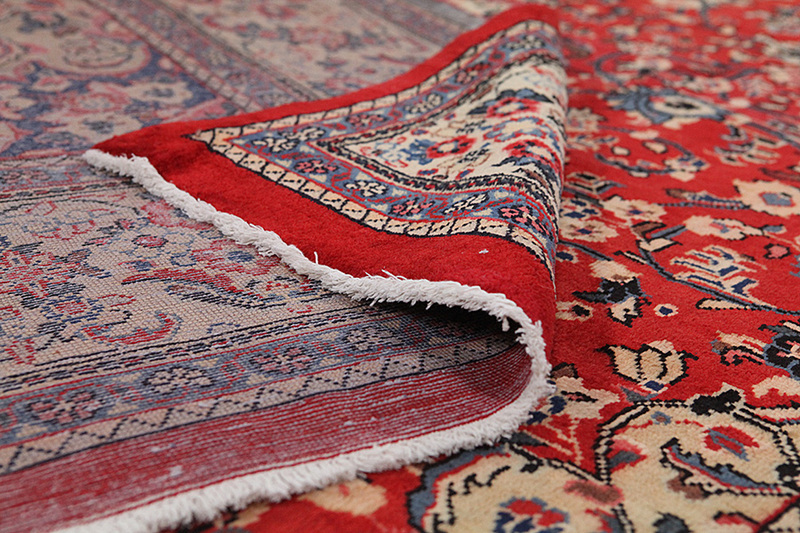 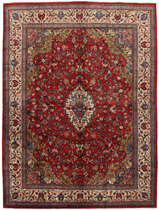 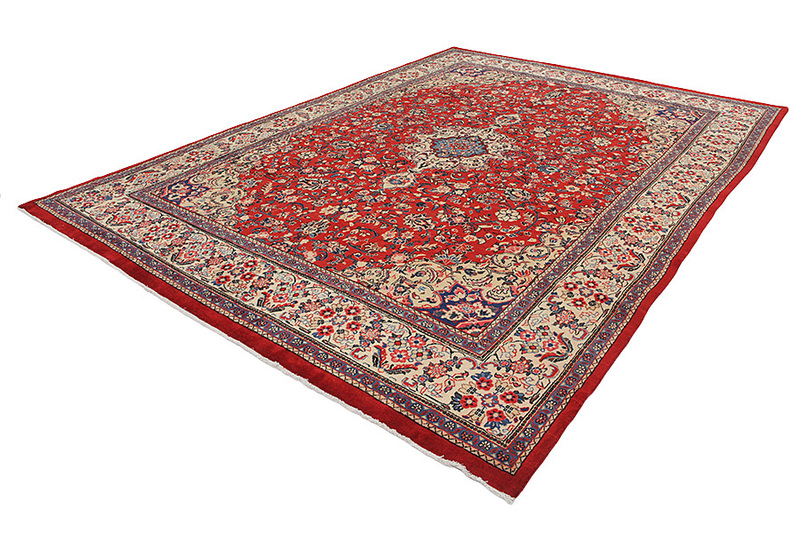 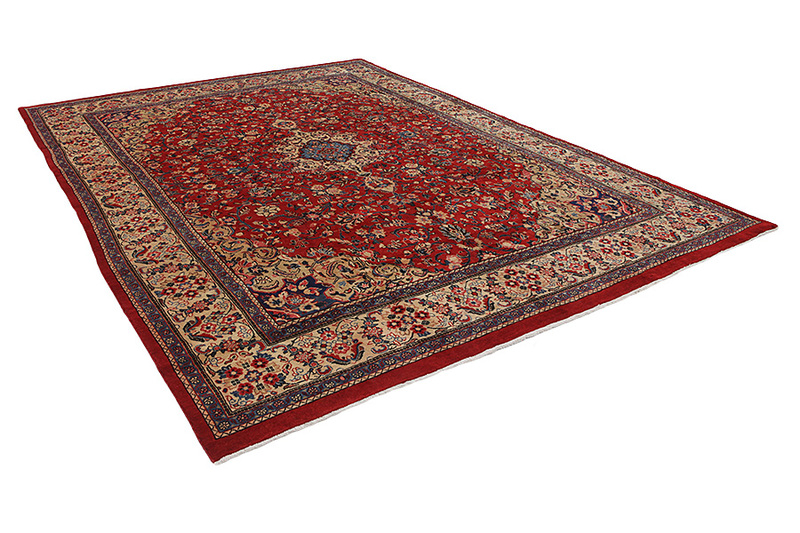 Also full, dense and fine designs are woven, with curvilinear flowers like in the Kirman carpets.